On May 18, Director of Athletics Robert L. Scalise wrote an email to the nearly 1,200 student-athletes at Harvard College. “As you know, our varsity sports program has confronted a number of significant challenges this year,” Scalise wrote. Among those challenges were a pair of high-profile incidents in the fall, ongoing personnel complaints about a polarizing distance running coach, a human resources investigation into alleged mistreatment of the women’s rugby team, charges of non-compliance with Title IX, and accusations regarding gender and pay inequity within the department. Several separate “reviews” of various aspects of the department are currently ongoing. When details of the first of these challenges—the men’s soccer team tradition of producing vulgar documents on female soccer recruits—surfaced in October, Scalise expressed hope that the department’s response could be kept internal. Within weeks, however, the school’s response was a matter of intense media attention, with dozens of national and international news outlets covering Scalise and University President Drew G. Faust’s decision to cancel the men’s soccer season. Initially, Scalise was also skeptical that the soccer team’s explicit “scouting reports” were reflective of problems specific to the Athletics Department. But for others, including members of the women’s rugby team frustrated by what they call insufficient financial and administrative support from the department, the revelations about the soccer team and, later, the men’s cross country team reflected “an intrinsic culture of sexism” in Harvard athletics. Since his initial response and after details about the cross country team’s production of similar explicit documents came to light, Scalise has sought to investigate whether the teams’ practices indicate systemic cultural problems specific to the department. This semester, Harvard athletics began working with a group of outside consultants to conduct a review of department culture. That review will, in some ways, act as a referendum on whether a longstanding governance structure can effectively address intensifying campus concerns in one of the larger administrative departments at Harvard. Since Scalise stepped into the role of Athletic Director in 2001, Harvard’s varsity athletics program has expanded competitively, financially, and administratively. Former assistant athletics director John Veneziano, who worked in the Athletics Department for 14 years before leaving in 2003, said the growth of the department led the Athletic Director to rely on a number of associate and assistant directors, committees, and councils for support and advice. Three senior associate athletic directors, seven associate athletic directors, and seven assistant athletic directors act as administrative coordinators for each of the sports teams in addition to performing other roles within the department. Former men’s and women’s water polo coach Scott Russell described the tier-structure as “an unwritten policy” but said it regularly came up in department meetings and the interview process. Russell explained that a team’s tier—water polo was tier two—often determined its travel distance, financial support, and recruiting capabilities. Russell and Parker listed ice hockey, basketball, and football as tier one programs. In a May interview, Scalise would not confirm the use of a tier structure, saying instead that the department “groups” sports by certain factors like revenue and popularity. While each team reports to an associate or assistant athletic director who then reports to Scalise, the entire Athletics Department falls under the governance of the Faculty of Arts and Sciences. Scalise said he meets with FAS Dean Michael D. Smith as well as Dean of the College Rakesh Khurana approximately four times a year to discuss the athletics program. 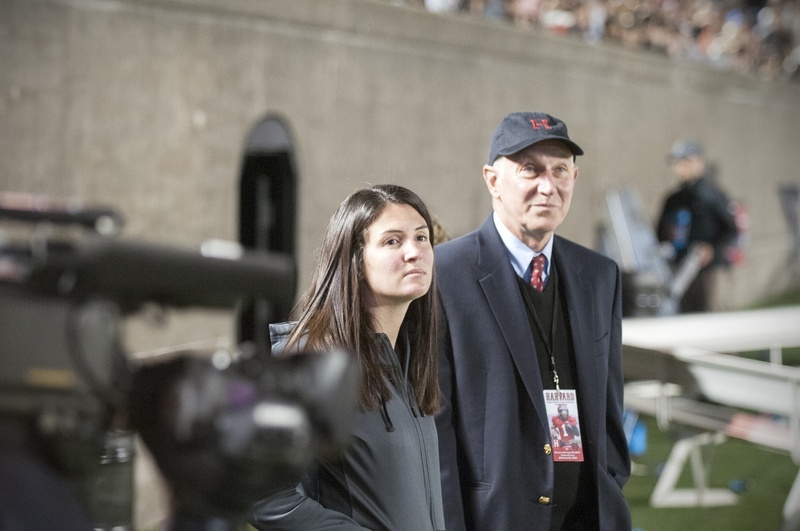 Associate Director of Athletic Communications Allison Miller, left, stands next to Director of Athletics Bob Scalise on the sideline at halftime of the Harvard-Brown football game. Scalise also interacts with FAS as a regular guest at the meetings of the Standing Committee on Athletic Sports, a body of faculty and University administrators who meet monthly to discuss topics such as admissions and recruiting, athletes’ academic performance, Title IX, and the NCAA. Economics professor and chair of the Standing Committee Jerry R. Green said the committee reviews statistical analyses of student athletes’ athletic and academic performance, meets with coaches, and offers advice to administrators. In addition to FAS oversight, many alumni are involved in the Athletics Department in an advisory capacity through the Visiting Committee on Athletics and the Athletic Director’s Council. According to former member Paul G. Kirk, Jr. ’60, the Visiting Committee submits reports about the Athletic Department’s performance every three years to the Board of Overseers, Harvard’s second-highest governing body. In 2014, Scalise created the Athletic Director’s Council, a group of former Visiting Committee members that acts as an advisory group. The Council meets yearly in May with athletes, coaches, and administrators but does not report to other administrators. 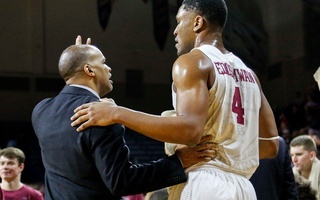 While these administrative and advisory bodies have different roles and levels of engagement with the department, all were taken by surprise in the fall when a series of high-profile incidents pulled the Athletics Department into the national spotlight. 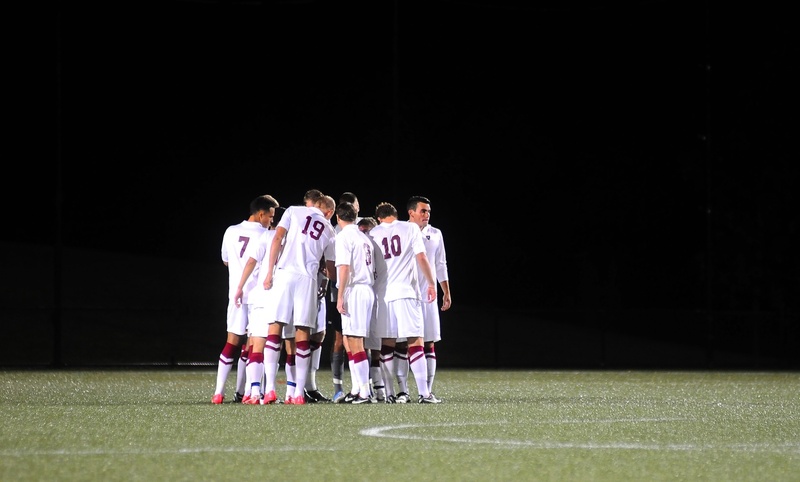 On Oct. 25, a report in The Crimson revealed that a member of the 2012 men’s soccer team had produced and distributed by email a nine-page “scouting report,” in which the author evaluated each incoming members of the women’s soccer team in sexually explicit terms. The document appeared to be an annual tradition since the author of the 2012 “report” referenced one from the previous year. The document and the email list the 2012 team used had been publicly available and searchable through Google Groups, an email listserv service. When first approached about the documents, Scalise said he had been unaware of them. “Any time a member of our community says things about other people who are in our community that are disparaging, it takes away from the potential for creating the kind of learning environment that we’d like to have here at Harvard,” Scalise said directly after seeing the document for the first time. On Oct. 25, a report in The Crimson revealed that a member of the 2012 men's soccer team had produced and distributed by email a nine-page 'scouting report' in which the author evaluated each incoming members of the women's soccer team in sexually explicit terms. While Scalise said he previously had consulted Faust only on broader issues, the soccer incident prompted the direct involvement of the University President. In a Nov. 1 statement a week after the report came out, Faust announced she had asked the Office of General Counsel, the University’s legal branch, to “conduct an immediate review” of the team’s circulated document. Faust wrote that she asked OGC to review the “scouting report” after consulting with Smith and Scalise. Scalise said the decision to involve OGC rather than handle the review through regular disciplinary means was not Faust’s alone, but “basically a joint idea” between himself, Faust, Khurana, and Smith. He added that the group came to the decision quickly since they were “under pressure to immediately act and do something.” Faust’s announcement that she asked the OGC to conduct a review came a week after the initial report. On the evening of Nov. 3, Scalise emailed student athletes that he had decided to cancel the remainder of the men’s team season after the OGC review revealed that the practice of producing “scouting reports” continued beyond 2012, including up to the most recent 2016 season. The cancellation sparked a national media frenzy, with outlets like CNN, the New York Times, and CBS all running stories on Harvard’s decision. In the weeks afterwards, similar incidents at a number of other universities came to light, leading to more season cancellations. Green said the reports surprised the members of the faculty standing committee. “It could be an individual, it could be a group, it could be a rooming group, it could be an athletic team. We’re not insulated from these types of things,” he said at the time. But reports of a similar practice among the men’s cross country team spurred Scalise to request an external review of the “overall culture” of the department. Days after the decision to cancel the rest of the men’s soccer team’s season, which had been on its way to an NCAA bid, reports revealed that members of the men’s cross country team had produced spreadsheets about members of the women’s team ahead of an annual dance between the two teams. Some of the spreadsheets from previous seasons contained “explicit comments” about the female athletes. Members of both the Athletic Director’s Council and the faculty standing committee praised the way the Athletics Department handled the two incidents, crediting Scalise for the decisions. “Frankly, I think his decisiveness, as was the case with President Faust and the FAS leadership, in the face of these incidents has been decisive and thoughtful, and while some would think it was harsh punishment, I think that that harsh punishment was duly founded,” Bersin said. Months after the department announced the culture review, Scalise wrote in a March email to student-athletes that the department had begun working with consultants from the National Consortium for Athletics and Sports. 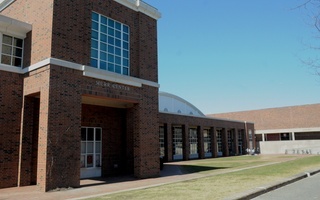 The Murr Center houses a number of Athletics Department administrative offices. The NCAS consultants administered a survey to athletes, coaches, administrators, and members of the faculty standing committee. They also met in focus groups with teams, coaches, team captains, and others. In an email sent to student athletes and department affiliates in May, Scalise reported that 850 people participated in the survey and 350 participated in the focus groups. 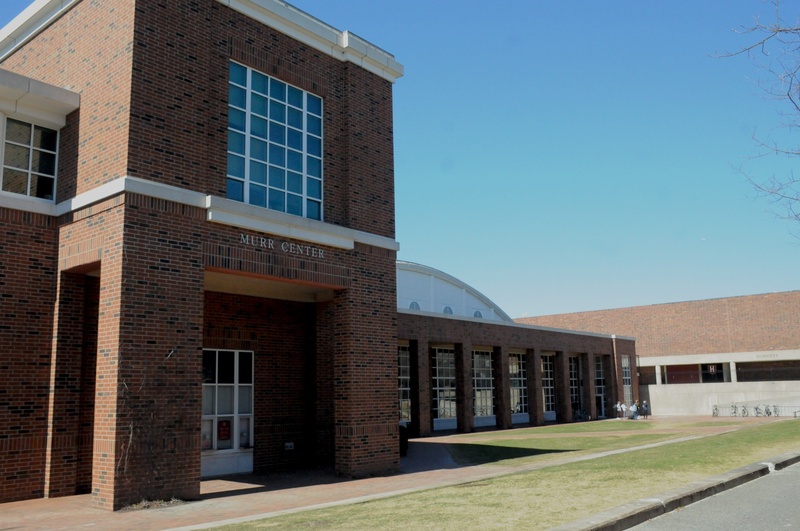 Athletics administrators will meet with the NCAS consultants over the summer to review the preliminary findings and will share a “high-level summary” with athletes in the fall. Earlier this month, Smith said in an interview that he does not plan to make the entire report public. While Scalise said that the year’s events led him to seek out advice from the various athletics committees and members of FAS, College, and University administration, he does not anticipate the overall governance of the department will change going forward. The events involving the men’s soccer and cross country teams brought a new urgency to regularly-discussed issues of gender equity in the department. In October, current and former affiliates of the women’s rugby team wrote a letter to Faust calling for a meeting to discuss the treatment of the program regarding coach compensation, financial support, and recruiting resources. The letter prompted a series of meetings between the authors and FAS administrators that culminated in two separate athletics-focused reviews. 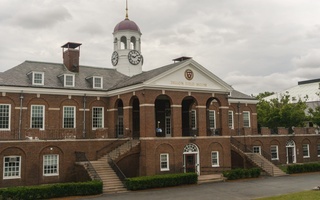 A human resources review would assess the alleged inequities of the rugby program’s treatment and the administrative response to the team’s concerns. A separate, internal Athletics Department review would assess gender and pay equity within the department. 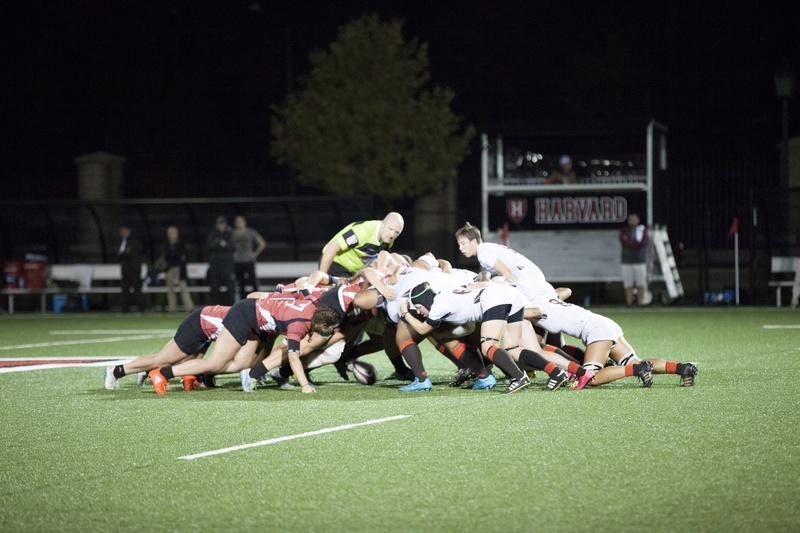 Complaints from members of the women's rugby team have spurred an administrative review of both the rugby program and gender equity in the Athletics Department. In an April 4 letter to Faust, the authors connected the perceived inequality of their program to what they called larger, systemic issues of sexism within the Athletics Department. Several administrators and committee members said gender issues within Athletics have been an annual topic of interest and concern. Green, the current standing committee chair, said one of the committee’s six to seven yearly meetings focuses entirely on Title IX and gender equity. He added that the committee monitors the proportion of male and female athletes as well as the allocation of resources to men’s and women’s programs. Scalise also emphasized that gender equity has been a persistent focus for the department. “I can tell you that we have a gender equity lense on everything that we do, and we are sensitive to Title IX all the time,” he said. While gender equity may be a constant concern within the department, Department of Education statistics show that certain financial gaps have persisted and, in some areas, deepened between men’s and women’s sports teams. In 1996, head coaches of women’s teams earned 81.6 cents on the dollar compared with head coaches of men’s teams, earning on average $47,507 while their counterparts on the men’s teams made on average $57,572. In the 2015-2016 year, roughly two decades later, the gap increased: coaches of women’s teams made 70.1 cents on the dollar, earning average salaries of $82,796 compared to the head coaches of men’s programs who made, on average, $120,532. The way that Harvard compensates its coaches is comparable to peer institutions in the Ivy League. The records show that the gap increased between assistant coaches as well. Although the salaries for assistant coaches of women’s teams increased from $28,322 to $39,006 in that time period, the gap with comparable positions on male teams widened. Assistant coaches of women’s teams in 2015 earned 72.3 cents on the dollar compared to men’s team assistant coaches, as opposed to 75.1 cents on the dollar two decades ago. Many administrators and committee members declined to comment on the ongoing gender and pay equity review. Though Scalise is also remaining tight-lipped on the ongoing reviews, he said the department is ready to change if needed.